Johnny Wrestling has burst onto the main roster scene in recent weeks and whilst fans of NXT are already aware of exactly what the former North American Champion is capable of, many fans who don't tune into the WWE Network on a Wednesday night would have missed a lot of his exploits. Gargano is another superstar who is highly experienced in the ring and has shown it throughout his time in NXT. Whilst the former Champion fell short of the NXT Championship numerous times, there were still flashes of the brilliance that awaits the main roster when Gargano gets in full swing. For fans who haven't monitored Gargano's career over the past few years, here are some of the biggest facts about the star that every fan needs to know. 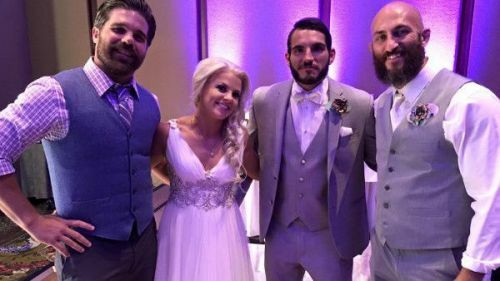 Johnny Gargano has been around the wrestling business since he was a teenager so it's no surprise that the former North American Champion has already appeared on WWE TV numerous times before. Back in March 2007, Gargano appeared as "Champion of Liechtenstein", Cedrick Von Haussen, in a match against MVP on SmackDown Live, and of course, Gargano was quickly defeated by Montel Vontavious Porter. Gargano later appeared on an episode of Superstars as part of another WWE tryout back in September 2011, this time he was known under the ring name Joey Grey and was easily defeated by The Funkasaurus Brodus Clay. It wasn't until 2015 when Gargano was taken seriously by the company and given a chance to push himself in NXT that he was able to unlock his own potential and become the wrestler that he is today. That being said, Gargano would have probably seen his earlier matches as blessings that showed him that he needed to work harder to live his dream.